Here is the book that exposed the Daimler-Chrysler "merger of equals" as a bold German takeover of an industrial icon. 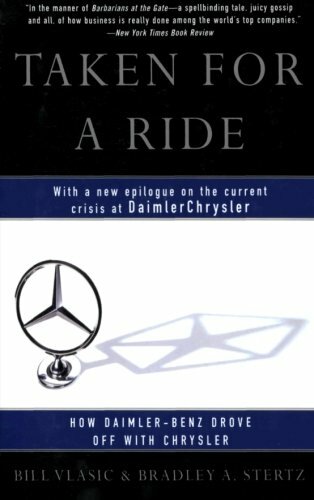 Taken for a Ride reveals the shock waves felt around the world when Daimler-Benz bought Chrysler for $36 billion in 1998. In a gripping narrative, Bill Vlasic and Bradley A. Stertz go behind the scenes of the defining corporate drama of the decade -- and in a new epilogue chart its chaotic aftermath.